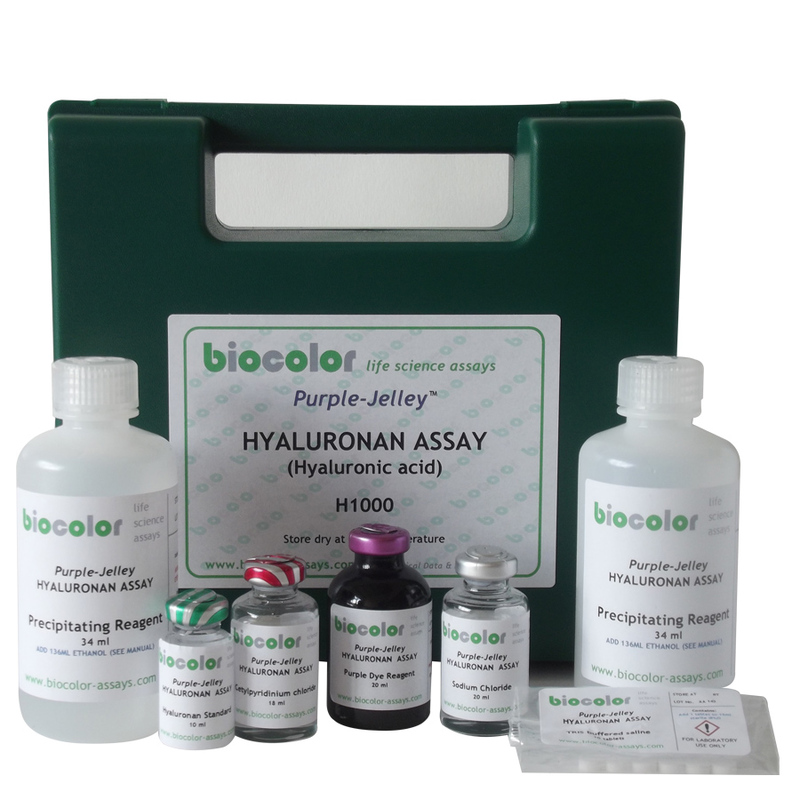 The Purple-Jelley Hyaluronan Assay is a simple colorimetric assay used to measure the quantity of hyaluronic acid in mammalian tissue. 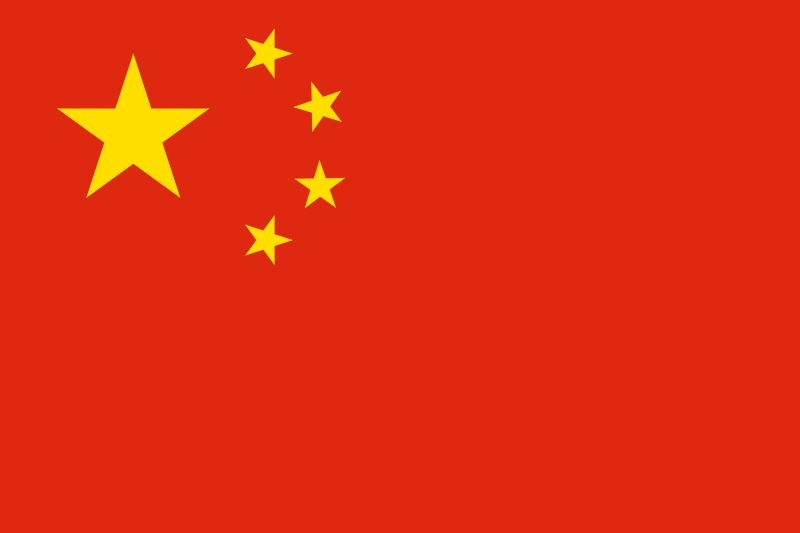 It is a dye-based method with a detection limit of 0.2μg. The dye used is ‘Stains-all’. The assay manual includes methods for the user to remove tissue protein and sulfated glycosaminoglycans before measuring the isolated hyaluronic acid. Also included in the manual is an outline guide to the distribution of hyaluronic acid present in various animal tissues – heart, kidney, lung, leg muscle and skin. All values were obtained using this assay. In adult animals the hyaluronic acid percentage gradually increases during ageing as muscle and fat mass decrease. Q. What is the sensitivity of the Hyaluronan assay? A. The absorbance peak for Hyaluronic Acid in Stains-All dye is 656nm. Removal of tissue protein before assay is essential in order to isolate the HA from potentially dye binding proteins; and sulfated glycosaminoglycans need to be removed before measuring the isolated HA, from a two step critical electrolyte salting out process (CEC). Methods for protein removal and sGAG removal can be found in the HA manual. Q. How do I prepare samples for measurement with the Hyaluronic Acid assay? A. Preparation details for samples in tissue are described in the assay manual.